Even though Heathen's Rage released a demo (though it was more like a full-length, with ten tracks at 35 minutes) before this release, I have yet to locate it, but this three song, self-titled EP that followed is a nice little collection of music for fans of '80s US power metal. 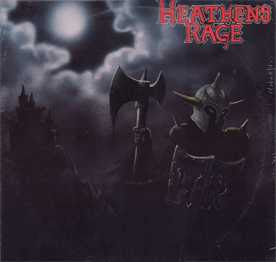 This EP doesn't have any material that could really rival earlier bands' outputs, which contains a small list of masterpieces that include "Metal Church," "Battle Cry," and plenty of others, but "Heathen's Rage" is still worth a moment of your time if not for "Knights of Steel" alone. "Knights of Steel" is the opening track for this EP, and it's a terrific song with a near-epic clean guitar intro that serves as the backdrop to a melodic solo. Then the bass and drums come in, before this song starts to pick up. Bob Pizzauro's vocals are a pleasant surprise, because they're very clean and soothing. There's not a hint of aggression like there usually is with other power metal singers. "City of Hell" isn't really a great song, but it does show how good the group's drummer is. His opening drum fills and solo moments are top-notch, and this can be said for his entire performance on the EP. 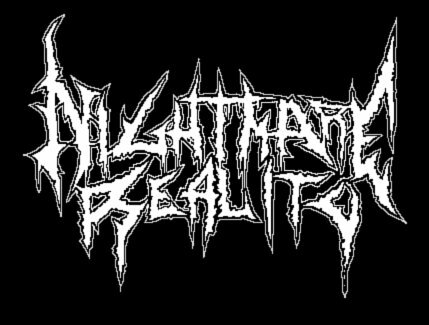 "Dark Storm" is a thrashy number that will get your head moving, but not much else. Overall, "Heathen's Rage" is a decent three song EP that power metal enthusiasts are sure to enjoy. It's unfortunate that they never released a full-length album, because based on this performance, that record would have been awesome.